Filip Hrgović (5-0, 4 KOs) believes he has had the best possible preparations ahead of his hotly anticipated WBC International Heavyweight title clash with American Amir Mansour (23-2-1, 16 KOs) on September 8 at the Arena Zagreb. The Rio 2016 Olympic Bronze Medallist, now 5-0 in the paid ranks, will be fighting at home for the first time as a professional, and is eager to deliver a spectacular performance in the Croatian capital. Having joined forces with renowned Cuban coach Pedro Diaz, Hrgović has spent the last two months in Miami training alongside World-class fighters including former WBA and WBO World Super Bantamweight Champion Guillermo Rigondeaux. 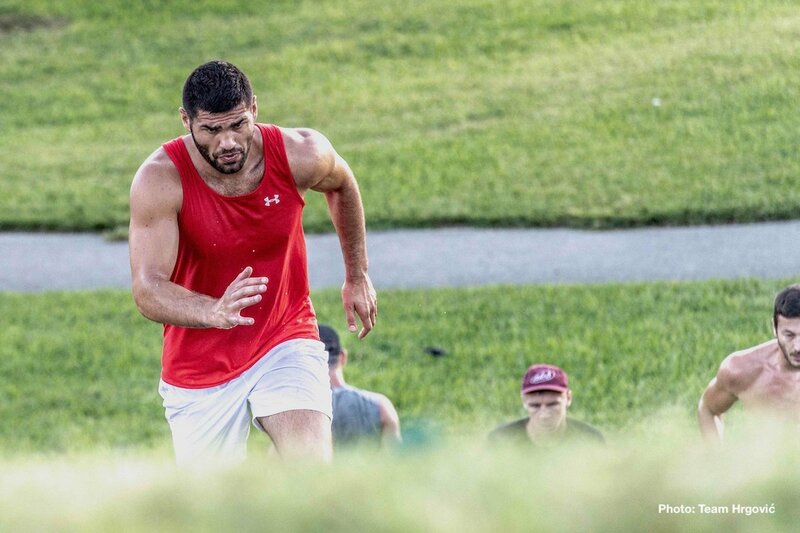 With days to go before Hrgović returns to Zagreb to complete his preparations, the rising heavyweight star gives his assessment on his stateside training camp. Q: How have you found your training camp in Miami? FH: It has been very positive experience for me to come to Miami and work with Pedro Diaz. I haven’t worked with many different coaches in my career so far and training with Pedro has been a great opportunity for me to learn and witness a new approach to boxing. Q: Can you talk us through a typical day’s training? FH: Usually training is split between two phases, one early morning session, with either physical preparation or combined exercises, and another session in the late afternoon on specific technical aspects of Boxing. Between the two periods I usually rest and recover as the heat in Miami takes some getting used to. Q: You’ve linked up with renowned Cuban coach Pedro Diaz – what has it been like to train under his tutelage? FH: As I said, it’s been a huge opportunity for me. Pedro has been working alongside many top athletes and spent a lot of time studying the specificities of the sport of boxing. He has a huge knowledge and is very detailed oriented. It opens new doors for me as I want to perfect my boxing skills. Q: You’ve been training in a group of hugely talented boxers – do you enjoy training in a group and what advantages are there to training alongside other fighters? FH: It is true that training as part of a team gives you extra motivation and an additional sense of competitiveness. I’m usually not use to it, but being among a talented team of fighters with such a high pedigree, you have no place to hide. Q: One of the boxers you’ve been working with, also trained by Diaz, is pound-for-pound star Guillermo Rigondeaux – what has it been like to train with him? FH: Rigondeaux is an example to all the boxers in the team. He never complains and he always gives his best so he is like a big brother and a natural leader that inspires the rest of the group. Q: On September 8, you enter the biggest fight of your career – how important has this training camp in Miami been for your preparations? FH: It has been a test. A mental and physical test. Being abroad, far from home and my usual habits, with a new coaching team with new methods. It’s an important milestone that I’ve had to pass in order to reach the next level in my career. Q: What do you think of Miami – have you had any time to relax or go sight seeing? FH: Miami is a nice place, even if the heat can be hard to adapt to. I’ve done a little sightseeing, as my training schedule does not allow me to circle around too much and my basic relaxation was done with a quick swim in the ocean. Q: Are you looking forward to returning home to Zagreb? FH: Of course, I miss Zagreb a lot, and certainly Croatia during the summer time, there is no better place to be. I look forward to returning and delivering the Croatian people by best performance ever at the Arena Zagreb!